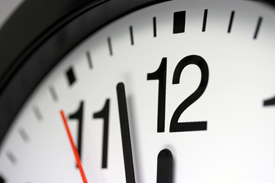 Federal Energy Efficiency Legislation Slowly Moving Forward, but Will the Clock Run Out? The expectation is that these bills will be combined in a package to bring to the Senate floor. However, the Senate is still busy addressing the U.S. debt ceiling, and appropriations bills for 2012. And Congress is still planning to take a month off starting in early August. The best guess at this point is that an energy bill could come up in October. When and if a bill does come up, there will be attempts to add many amendments, addressing a broad array of energy topics (e.g., coal, nuclear, and EPA greenhouse gas emissions regulations, among others). Assuming a bill passes the Senate, it goes to the House of Representatives, where more amendments are likely to be added, including quite a few that will not be acceptable to the Senate or the President. If both the House and Senate can pass a bill, conference negotiations will take place to see if there is a package the House, Senate, and President can all support. If all goes well, a bill could emerge from Congress in the spring, but by then it may be too late. The closer we get to November 2012, the fewer the chances are that an energy bill will become law given the minefield of election politics that it must cross. And if legislation is not passed before the election, the whole process must begin again in 2013, this time with a new Congress and possibly a new President. In addition to energy legislation, one other legislative possibility is that energy efficiency tax incentives expiring at the end of the year may be extended (e.g., new homes, appliances, and home weatherization). If tax extensions are considered, given the budget deficit and the high cost of some of the incentives, we would expect them to be more tightly targeted to provide the most “bang” for limited federal “bucks.” However, extensions may also be difficult to pass due to timing. The tax discussions will likely begin in September and may not be resolved until December. But Congress could decide to let the current tax credits expire, and instead focus on broader tax reform next year, instead of individual tax measures. The news is not all bleak, however. While federal progress for energy efficiency will likely be moving in fits and starts for the time being, progress has been promising at the state level. Recently we’ve shown that Energy Efficiency Resource Standards (EERS) have been reaching or exceeding their targets across the country, saving consumers billions along the way. As consumers continue to reap these savings, an appetite may be growing to see a national EERS in the not-so-distant future.